Surrounded by several of Colorado’s most stunning peaks, Snowmass’ varied terrain and legendary powder attracts skiers and snowboarders from around the globe. However, the mountain village also has plenty of opportunities for adventure and entertainment beyond the slopes, from pampering spas to backcountry tours. Here are some of our favorite ideas for off-the-slopes fun in Snowmass. 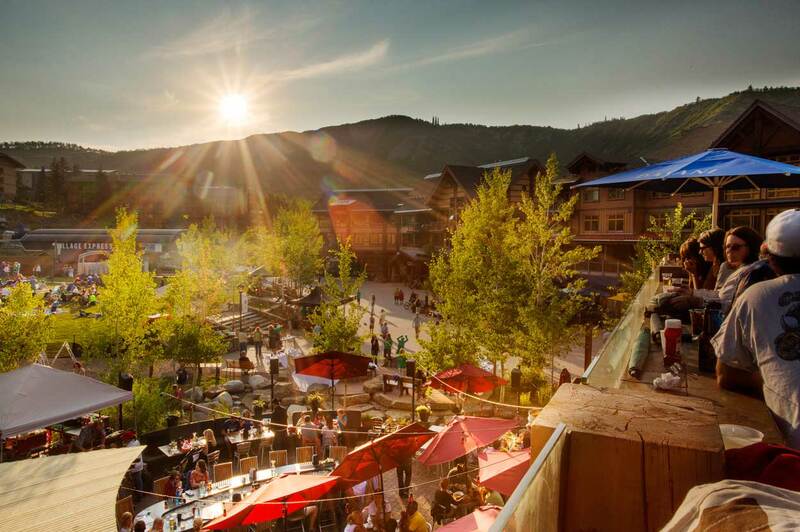 Snowmass’ many locally owned boutiques and galleries are ideal places to hunt for the perfect Colorado souvenir. Browse fine ski gear, apparel and home goods at Gorsuch or check out works by renowned artists at Anderson Ranch Arts Center’s ArtWorks Store. If you work up an appetite, stock up on local and imported specialty foods and organic goodies at Grain Fine Food or treat your sweet tooth to something extra special at the Rocky Mountain Chocolate Factory. in therapies inspired by the resort’s earliest ancestors — the Ute Indians. Try the Ute-inspired Sun Dance Ritual treatment, which includes nourishing features like a hot salt soak, warm red clay body wrap and full-body massage. Other spas offering full menus of treatments and services include the Spa at Snowmass Club and The Spa at The Westin Snowmass Resort. Krabloonik Mountain Dining & Dogsledding offers guests once-in-a-lifetime tours of Snowmass’ pristine backcountry. Admire dazzling views of the snow-cloaked landscape from a sled led by a trusty team of Alaskan Huskies and an experienced musher. Excursions include a light meal by the campfire and chances to give your new furry friends backrubs while they rest up for the trek back home. Tours are offered in the morning, afternoon and at twilight, when the alpenglow and stillness of the trail makes rides particularly romantic. The 18,000-square-foot Snowmass Village Recreation Center is packed with both heart-pumping and relaxing activity options. Pilates and yoga classes, personal training sessions, cardio machines, a weight room, climbing wall and bouldering cave cater to fitness seekers, while warm, saline outdoor pools offer entertainment and mountain views for visitors of all ages year-round. Journey on snow-covered trails on cross-country skis or snowshoes to discover peaceful pine forests, aspen groves and sprawling meadows. The Nordic experts at Snowmass Cross Country Center will equip you with all the gear you need to embark on the area’s trails. If you need guidance, the center also offers lessons and tours tailored to your ability, interests and timeframe. Take a beginner snowshoe tour of the Snowmass Golf Course with majestic Mount Daly as a backdrop; all tours include rentals, a guide and snack.